Taylored Expressions is bidding a fond farewell to over 200 products as we retire some of our favorite items with an amazing SALE. Choose from a variety of stamps and dies at up to 80% off retail price -- but hurry, once they're gone, they're gone forever! Check out the graphic above to see how you can earn an even greater discount off the sale price and then visit the SALE HERE to start shopping! Additional discounts expire July 17th! 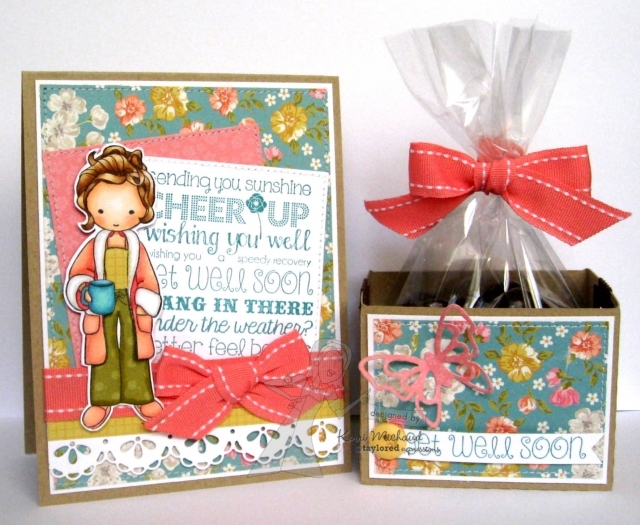 Love her and she pairs so well with the Graphic Greetings Get Well sentiment stamp:) You can find my supply list below. I hope you get a chance to take advantage of this awesome sale and happy stamping!! !